See a list of city campaigns already conducted and what cities we are considering in the future. Working closely with the indigineous local Church, training and mobilizing church members for evangelism among their own people in a language they best understand. Assistance in building "evangelism and church-planting movements" through each city-wide media campaign by co-translating, co-funding, co-producing and helping to build capacity for appropriate language-specific culturally-relevant media and tools for follow-up evangelism. Assisting in training and equipping local leaders to multiply media evangelism through local churches by building capacity for ongoing local distribution systems. See a list of city campaigns. 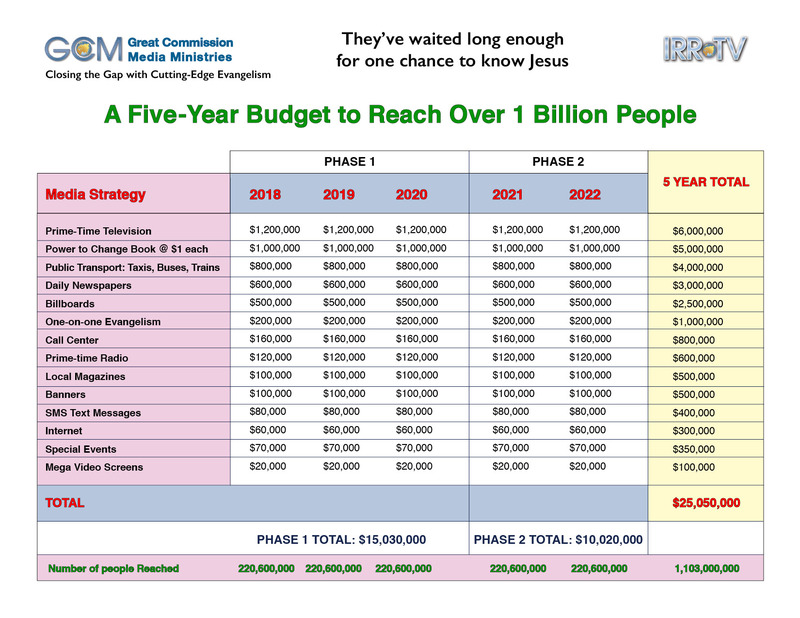 GCM Ministries has, together with thousands of local churches, conducted more than 100 city-wide, high intensity media saturation campaigns. Included in these campaigns are cities in Russia, India, Ukraine, Israel, Palestinian territories, Nepal, Kazakhstan, Kyrgyzstan, Uzbekistan, Iraq, Finland, and Guyana. The campaigns have reached over 207 million people with thousands from each city responding to the Gospel message. Call centers, set up for each city campaign, have direct contact with people seeking spiritual help and literature, by phone calls and through social media. Pastors report growth in churches from city to city. You can read about the goals and challenges of GCM Ministries in our 5-Year Mission Strategy PDF here.